In the Jonah allegory, Jonah is poked and poked again by God till he finally gets his act together and does what he should have done at the beginning. We in the world, have not come to this point yet. This means that the time has come for humanity to wake itself up. Also, I would add, that if we should manage to wake us up as human beings, then not even the sky will be a limit for what we can accomplish. 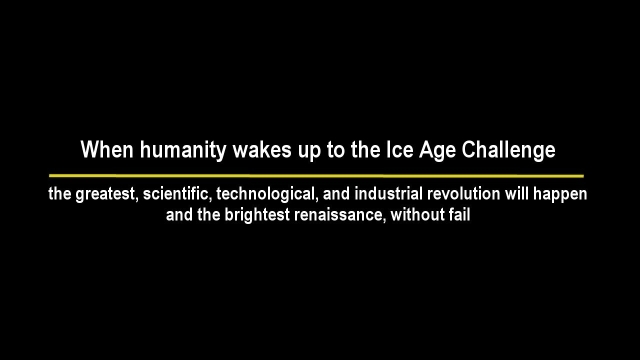 When humanity wakes up to the Ice Age Challenge the greatest, scientific, technological, and industrial revolution will happen and the brightest renaissance, without fail. As I have suggested many times in relevant exploration videos, it is possible for the whole of humanity to relocate itself into the tropics before the Ice Age begins. 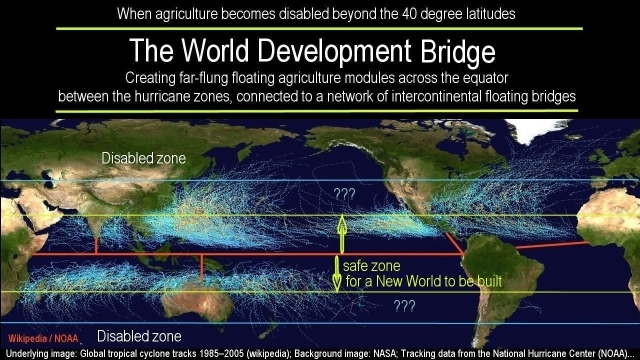 For this, roughly 6,000 new cities for a million people each will need to be build, together with new agricultures operating with artificially enhanced climates, and new industries to service it all, and all of it being placed afloat across the equatorial sea where freshwater and CO2 for agriculture can be drawn directly from the ocean. 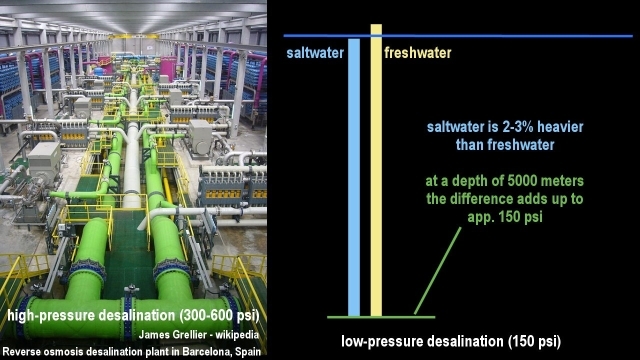 Large-scale deep-ocean-reverse-osmosis desalination is possible that utilizes the weight differential between freshwater and seawater to drive the process by itself. The process would cause rivers of freshwater to flow out of the oceans, and likewise large volumes of CO2 by the same principle to sustain agriculture. Ice core samples indicate that atmospheric CO2 is dramatically reduced during glaciation conditions, so that artificial CO2 enhancement will be needed on a large scale in order for efficient agriculture to be possible. 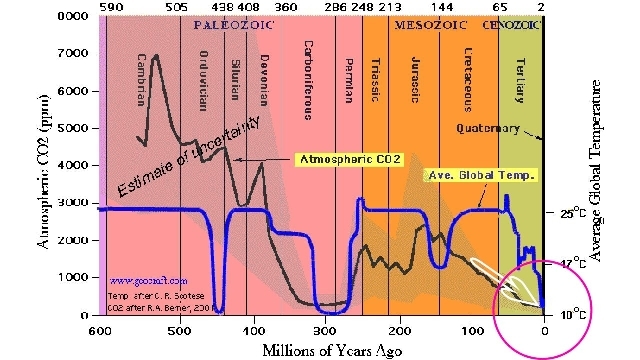 We are presently at the lowest point in CO2 concentration in the entire history of life. 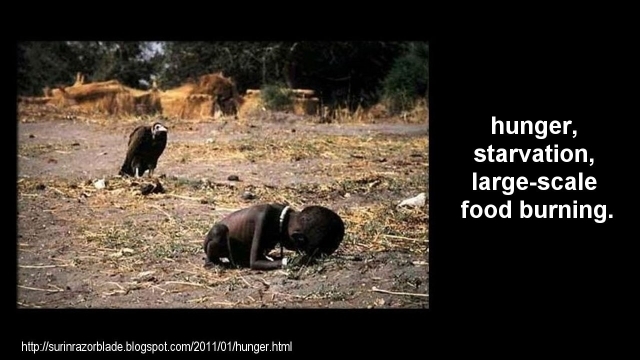 We are barely above the biological starvation level. 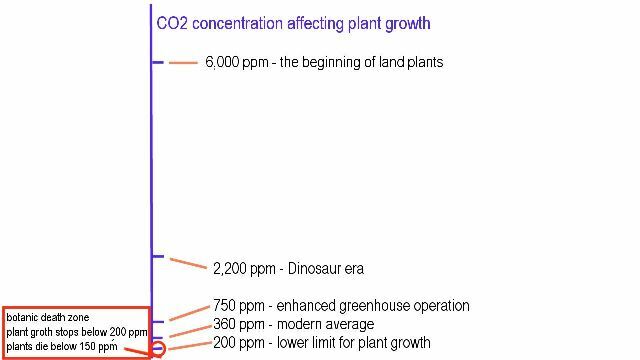 For efficient agriculture, the CO2 concentration needs to be uplifted. Some greenhouse operators artificially double it, and get a 50% increase in plant growth. We cannot afford to let this level drop to the level of the previous Ice Ages, the 200 mark, where plant-growth almost stops. Of course, the CO2 uplift during glacial conditions, together with desalination, requires large-scale infrastructures, and large-scale industries to build the infrastructures. It requires an industrial revolution on a scale that has never been seen before, or even imagined before, built with new materials, new energy systems, new high-temperature industrial automation, and a new approach to science and technology itself. 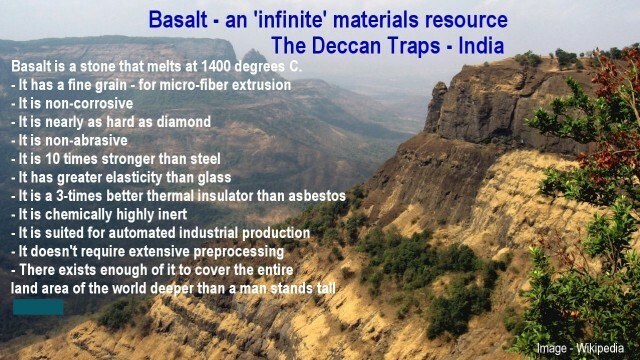 The new material for the Ice Age industrial revolution is basalt. Basalt is a stone of extremely fine grain that melts at 1,400 degrees, whereby it can be reshaped into anything that one cares to imagine. It is stronger than steel, lighter, and is non-corrosive. It exists in near infinite abundance, process-ready on the ground. Almost all of the new infrastructures can be build with it, such as the floating cities and floating agriculture. Basalt can also be extruded into micro-fibers that can be woven into cloths, such as for build large-scale hoses for worldwide water-distribution networks laid afloat into the oceans, with floating reservoirs, fed with the outflow of the Amazon River, the Congo River, and to like, which would still be substantial rivers even when global precipitation diminishes by 80% during glaciation conditions. The outflow of these rivers could then be used to bring the lifeblood of civilization to the water-starved ice-free continents that otherwise would become uninhabitable. 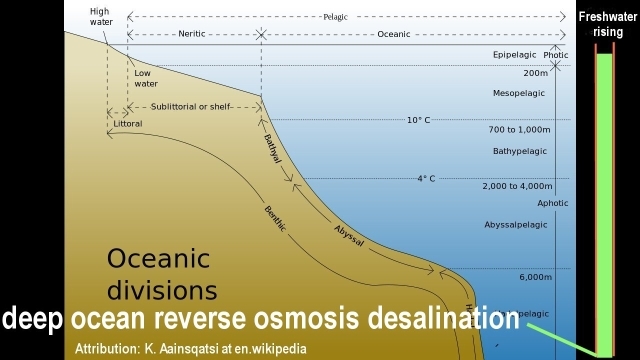 Large-scale deep-ocean reverse osmosis desalination would, of course, also augment the river-fed worldwide freshwater distribution system. 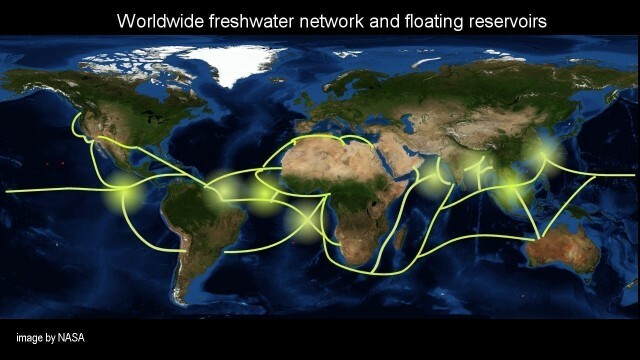 On the continents, the delivered freshwater would be pumped to wherever it would be needed via continent-wide water-distribution pipeline systems. With these technological systems, civilization would continue unabated and would develop for evermore, while without them, only a few people would have a chance survive, with a primitive type of existence. 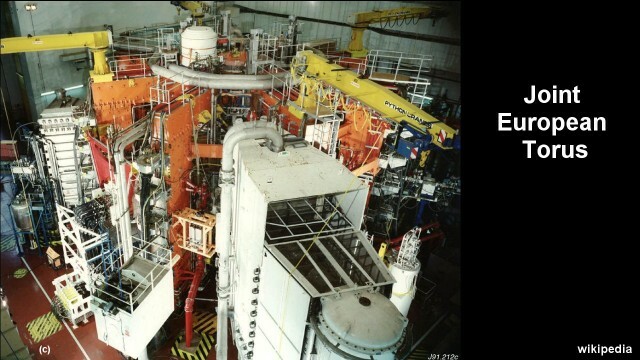 The high-temperature process heat for melting basalt, to produce the needed infrastructures, can be easily provided with the Liquid Fluoride Nuclear Fission Reactor, similar to the type shown here. Advanced types are now considered that utilize liquid lead as the primary heat carrier. Such reactors might produce the 1,400 degrees process heat for basalt processing directly from the nuclear reaction. The boiling point of lead is well above the 1,400 degrees process temperature. To date, high-temperature systems that generate process heat in the range of a thousand-degrees are already contemplated. In this case the process heat would need to be pumped up slightly, for the processing of basalt. The advanced liquid-fuelled nuclear reactor, in addition, has the potential to be so efficient that a single ton of rector fuel would produce close to the theoretical limit in energy equivalent, equal to burning 50 million tones of coal. 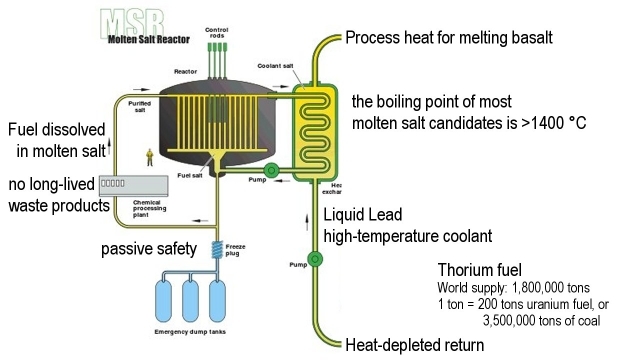 The liquid fuelled reactor is able to burn any type of nuclear fuel, from thorium all the way to weapons plutonium and nuclear waste products. As for thorium, there exist 1.8 million tons of it in known deposits in the world, and probably more than that. In other words, our energy future looks bright, if we care to develop it. The process of creating the Ice Age infrastructures for our continued living on this planet, would create still a further energy revolution, such as the world has never seen. And we do need a big energy revolution. Our current energy production infrastructure is so archaic that it will need to be scrapped in the near future for the lack of resources. Coal, gas, and oil are consumable resources that have largely been already depleted. Then what? 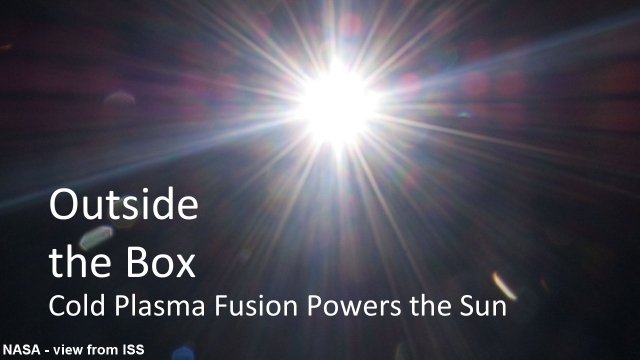 Some people dream about nuclear-fusion power as the energy source for the future. But this dream is already failing for the simple reason that the concept doesn't work. It is not supported by universal principles. The fusion of atoms into larger atoms is an energy consuming process. No sun in the universe is powered by such a process. 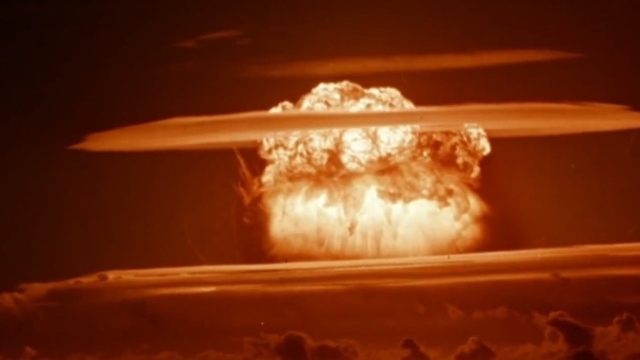 The big splash of fire, of a hydrogen bomb explosion, is not primarily produced by the fusion of two atoms, but is produced by the fissioning off, of a neutron from an over-built atomic isotope. The neutron's binding energy is released when the neutron becomes unbound. 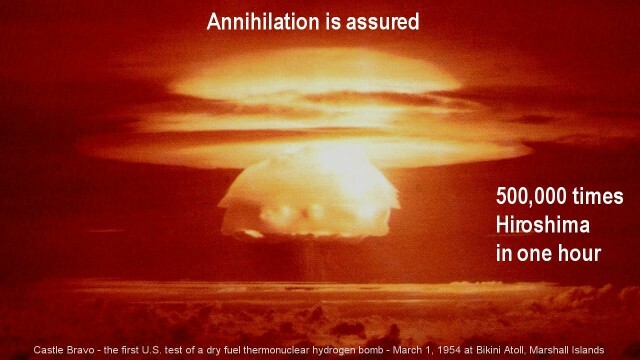 The process works well for the hydrogen bomb, because the bomb is triggered with an atomic fission bomb that causes a lot of the isotopes to fuse simultaneously and unwind their excess neutrons. Nor does it matter how much energy needs to be invested to produce the overbuilt isotopes for making the bomb. Also, the overbuilt isotopes don't exist naturally. They need to be created. These factors make controlled nuclear fusion power an unrealizable dream. Nor is the process utilized by the Sun. No exclusive evidence exists that a Sun is powered by nuclear fusion happening at its core, which is simply a dream. Are we running out of options then, for an energy-rich future? Let's put this into perspective. We have lived for 3 million years on this planet. Our civilization developed in the last 6,000 years, Our large-scale energy utilization began only 200 years ago. In this short period, the resource depletion was so extensive that at the current rate of burning, standard nuclear fuel will be used up in 60 years, oil may be used up in 100 years, coal maybe in 200 years. Even for the most efficient nuclear power reactor, the liquid fuelled reactor, the world fuel supply won't last us for more than 10,000 years, till it is depleted. Whatever the actual limits may turn out to be, one thing is certain, the world is running out of energy resources while civilization has just barely begun. 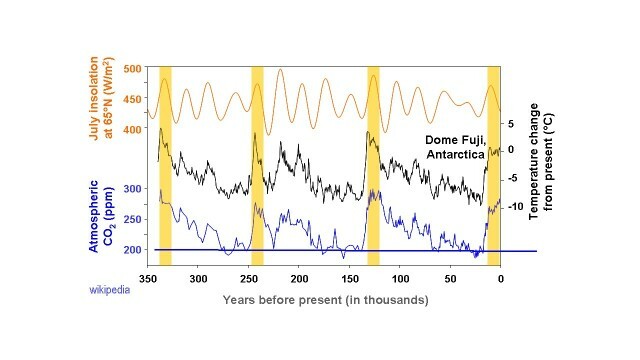 The next Ice Age will last all by itself for 90,000 years. For this we need extra energy not less. Also, there will be dramatically less conventional resources available. Large portions of the currently used coal, oil, and gas resources become inaccessible during the glaciation climate. Hydro-electric power, of course, will cease for the lack of water in the atmosphere to drive them. Solar and wind power will likewise cease. This means that we need to look to space and learn to utilize the cosmic energy resource that actually powers our Sun and the universe, which is a resource that cannot be depleted. All the evidence that does exist, and exists in many forms, points to the Sun being externally powered by plasma-fusion reactions occurring on its surface, with interstellar plasma streams being densely focused onto it. And this is our salvation. Without it we would have a dead-end energy crisis. 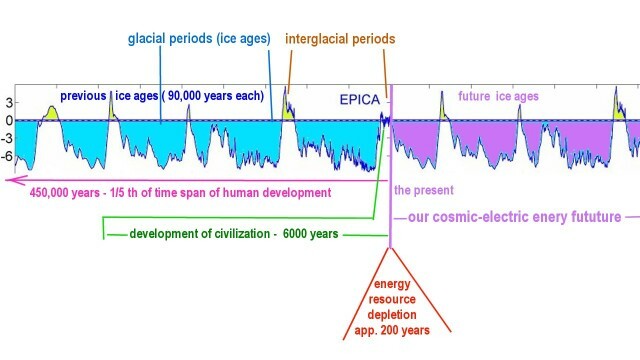 A high-level civilization that needs to support a large population, cannot exist without large-scale energy systems, whether we live on an Ice Planet Earth, or in an interglacial holiday from the ice, as we presently do. Our salvation is that the plasma streaming in space that powers the Sun is also available to the Earth. 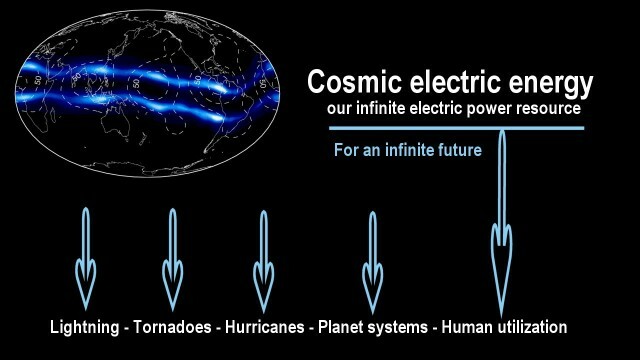 In fact, it is already powering very large planetary electric phenomena, such as lightning, tornadoes, and hurricanes. The plasma streams in space are not a consumable resource. They are forever self-renewing by the principles that power the galaxies and the universe. 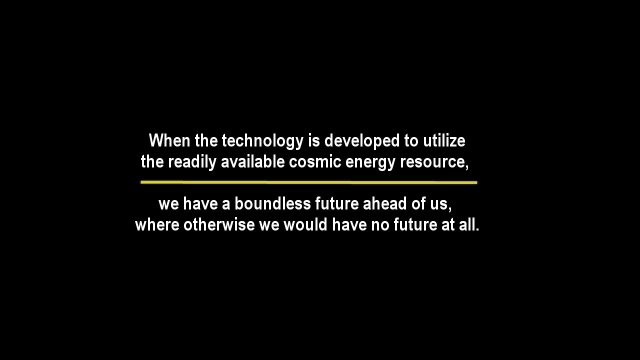 When the technology is developed to utilize the readily available cosmic energy resource, we have a boundless future ahead of us, where otherwise we would have no future at all. Isn't that what the Jonah legend hints at? When a world responds to its humanity, to its created resources, it creates itself a feast of a renaissance of such proportions that it would be a feast for the heart to behold its splendor. Should it fail on this count, its fate is doom. This challenge will never go away. Just as the demand on Jonah could not be side-stepped, or be escaped from, so the Ice Age Challenge cannot be side-stepped or be escaped from. 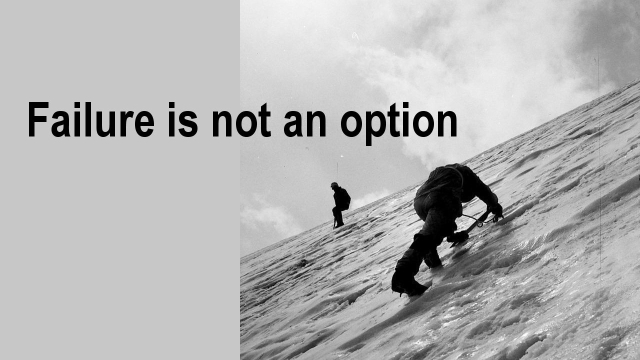 No other choice exists than to meet the challenge, or to commit suicide, which isn't really an option for humanity. Thus the Ice Age Challenge will poke at us until the challenge is met. 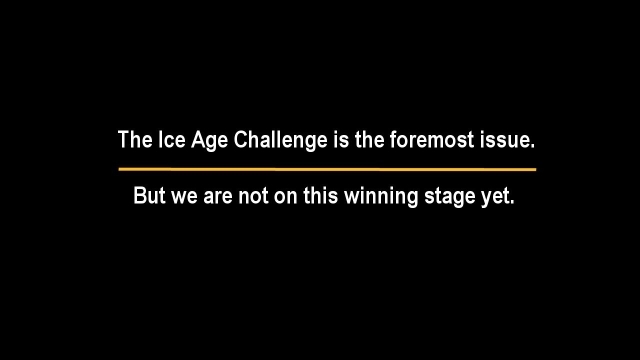 It appears that the stage is already set up, where the option not to respond to the Ice Age Challenge doesn't really exist. It also appears that the universe will help us on that count, in as much that the stage is supported by the universe itself. As the Ice Age dynamics unfold, the already rapid increase in solar cosmic-ray flux promises to increase society's cognitive power. Cosmic rays are not rays in the standard sense. They are single events of fast moving plasma particles. Each person on Earth encounters typically 50,000 cosmic ray events per day. 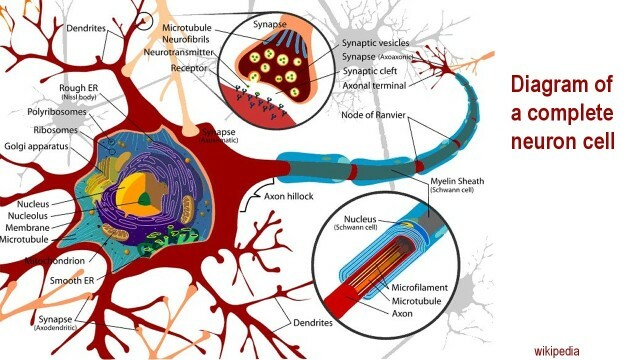 Plasma particles being several hundred-thousand times smaller than the atoms of our biology, the particles pass right through us without colliding with anything. However, as they pass through us, by them carrying an electric charge, their movement create a minute eclectic current in the body by electromagnetic induction. 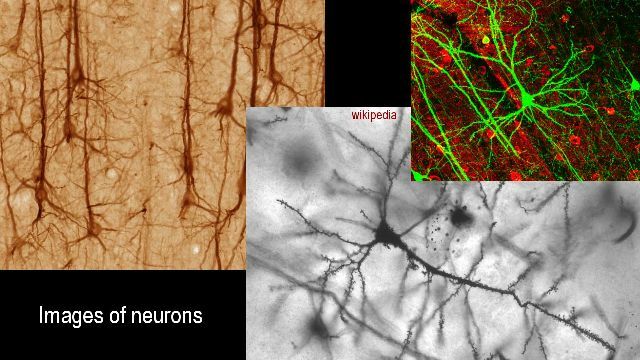 The induction appears to be beneficial for our complex neurological processes that operate largely electrically. Historic evidence points into this direction. 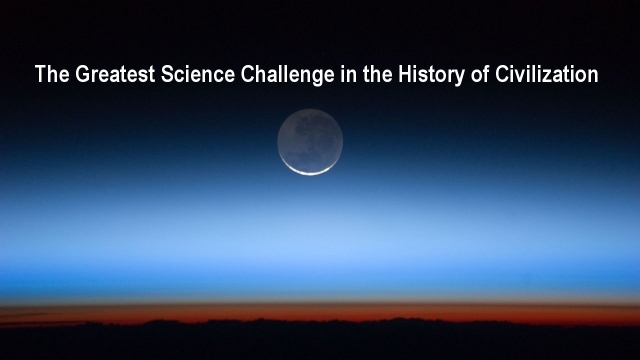 It is a fact of history that the great cultural advances in civilization have typically occurred during cold times that are times of greater volumes of solar cosmic-ray flux reaching the Earth. The dawn of written languages occurred in such a time. as did the dawn of Christianity, the Golden Renaissance, and the dawn of the sciences and great classical culture. 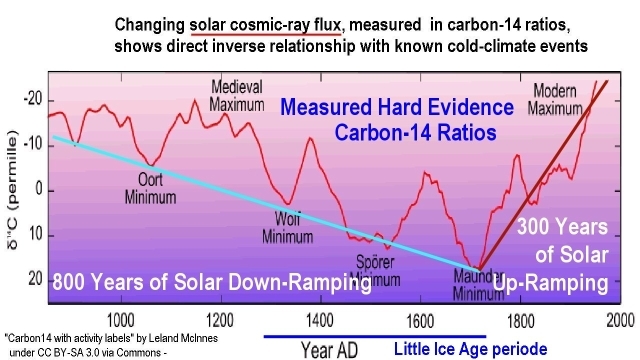 Inversely, the victory periods of empire, riddled with wars, massacres, and destruction, such as the Roman period, the dark-age medieval period, occurred in times of low volumes of solar cosmic-ray flux. 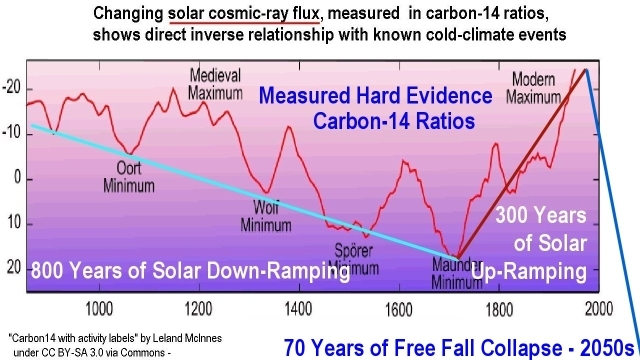 According to measured isotope ratios in ice core samples, the largest volumes of solar cosmic-ray flux occurred in the late 1600s and early 1700s, the period of the weakest Sun. In this timeframe the greatest modern cultural achievements in the sciences were wrought, and in music, literature, politics, and economics. 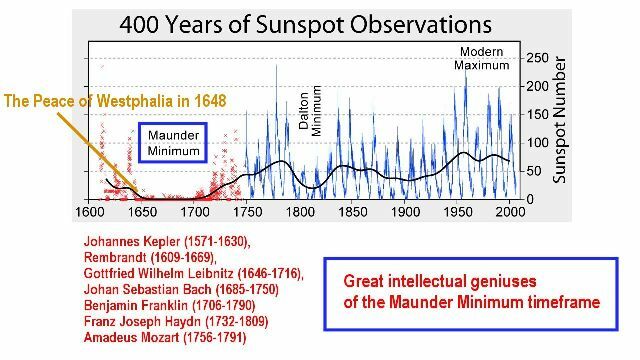 In the Maunder Minimum period of the 1600s and early 1700s, the great geniuses emerged such as the musical geniuses Bach, Haydn, Mozart, and revolutionary scientists and artist, and also politicians. Inversely, at the high-point of the solar up-ramping, when the Sun was the strongest and the cosmic-ray flux the weakest, the weak solar cosmic-ray flux coincides with the modern World Wars period and the start of the Cold War. 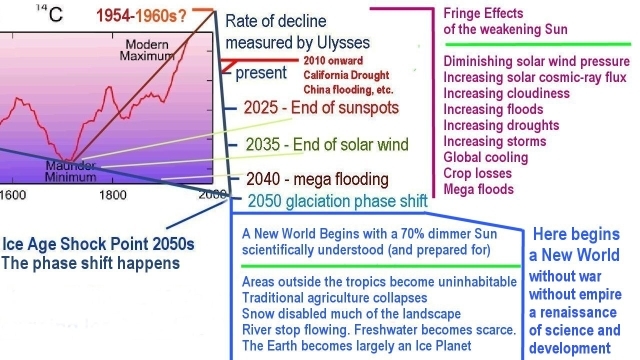 With the Sun now rapidly weakening, we are leaving the cosmic-ray lean times fast behind us, in which the modern empires had flourished and insanity and war had ruled, and are moving back into the cosmic-ray rich times in which humanist culture has historically flourished. In other words, the age of empire is over without recourse. Like a stranded jellyfish, the system of empire is drying up on the beach. The return of the humanist age is dawning. In this dawn it is safe to move forward with our bright cultural heritage from the past that we already have, and advance it further, so that humanity will at length have her joy in the greatest renaissance of all times that the Ice Age challenge inspires and the increasing solar cosmic-ray flux will help facilitate, which is about to become reality on the Earth with a high degree of certainty, possibly with the same high degree of certainty with which the Ice Age phase shift itself will happen that is already on the fast track, speeding ahead. 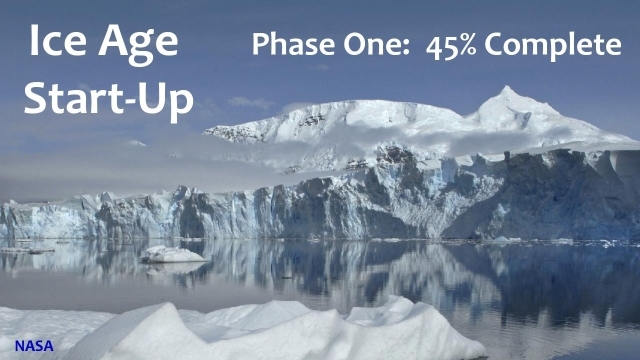 Of course, the largest increase will happen after the phase shift to glaciation takes place. Without war, without empire, a renaissance of science and development. We are not at the phase shift yet, nor has the recognition yet been made that there will be a phase shift, but a silent start has been made. We have a long way to yet. We are not even out of the woods yet. Until the Ice Age recognition is universally made, the little unresolved issues like the nuclear weapons issues, uranium war issues, economic collapse issues, terror and slavery issues, and so on, will plague us, even while they wane. They may yet tear our house down, though with lesser likelihood. While we still have a long way to go on this path, it can be said however that the end of the modern political nightmare is already far advanced, and that the dawn already looks encouragingly bright. When humanity develops its universal love, its trust in truth, its joy in life, and the sparkle of its mind, and finds great value in itself and in one-another, then the discovered Ice Age dynamics become meaningful. Until then they remain academic and ignored, and humanity in danger to fail on the steep grade of the Ice Age Challenge. The time when the transition is made in society, to acknowledge the Ice Age Challenge, which in its course ushers the systems of empire that dominate humanity, off the stage, depends on the love that humanity brings to light from its heart, for one another as human beings, and its love for the truth, and for its life, and for itself as a species of a profound mind. 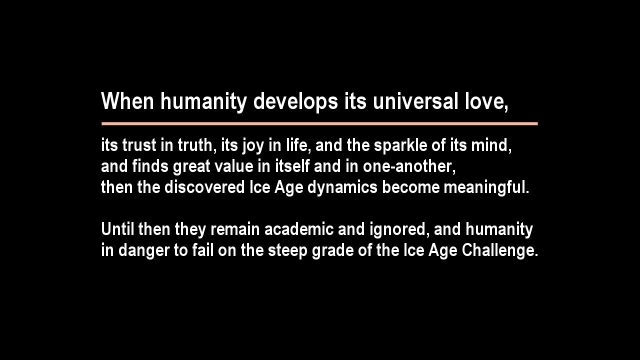 Without humanity developing its universal love, its trust in truth, its joy in life, and the sparkle of its mind, humanity remains in danger to fail on the steep grade of the Ice Age Challenge. But why should humanity fail to make the grade? We have the greatest resources on hand to win on this front that humanity ever had developed for itself in its entire history. 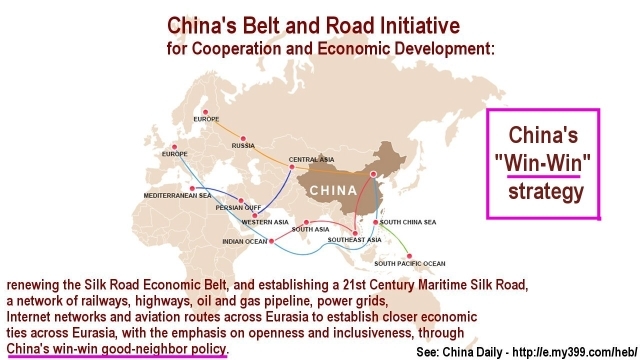 China appears to be already moving in the direction of considering its future on the coming Ice Planet Earth. And with China starting to move, can the rest be far behind? 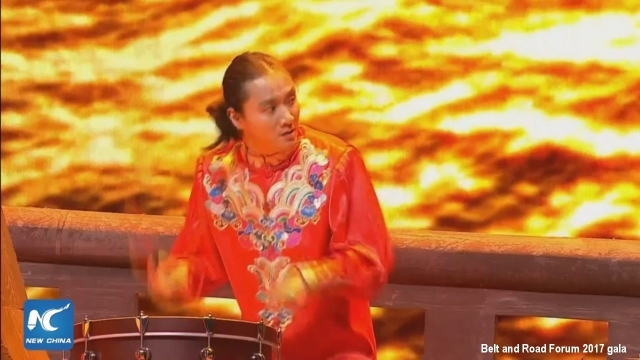 China appears to be moving on this front, because it doesn't have the deeply debilitating system of empire hanging around its neck. It has become a free state. On the basis of its unfolding freedom, China has built itself the fastest developing economy in the world. While this progress is still at the beginning stage, it has already the potential to inspire the world to follow its lead. On this path, the end of empire is near. No Jonah is needed to inspire empire to disband itself. 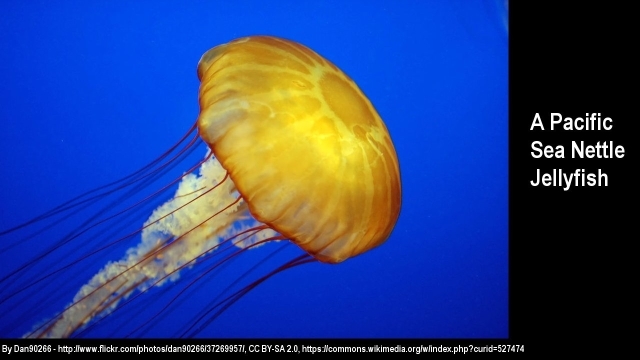 It simply remains left behind on the road of progress where it dries up like a stranded jellyfish on a sunny beach. Once the astrophysical climate dynamics are becoming more universally recognized and understood, and the powerful renaissance solutions become experienced, everyone will want to be on the bandwagon for freedom - the freedom from debt, money, limitations, crime, war, looting, slavery, and so on. In the light of the freedom from empire, wars become unthinkable and are left behind in the dust to rot. 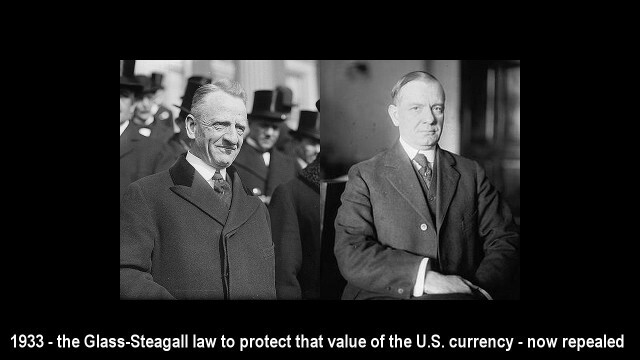 Even the Glass Steagall law for a secure banking system, that empire fears more than the plague, will become implemented along the way and be superseded, and then be left behind in the dust, likewise, on the road of further progress. The now ongoing transition to an Ice Planet Earth will affect everything. It will change everything. It will get us to where we need to be before all the lands on the Earth become rapidly uninhabitable by the cold and by lack of water. 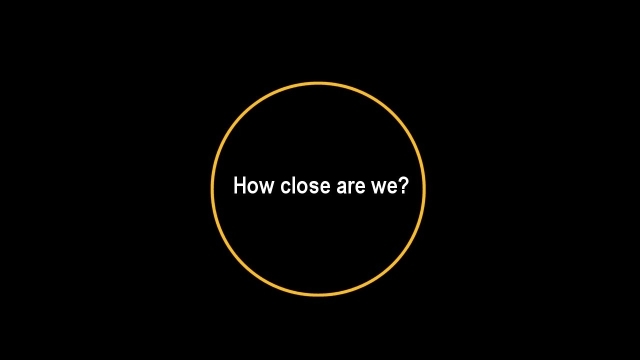 Us knowing this will draw the whole of humanity together for a common grand purpose to create a new world, and a new renaissance for a new future that no one can create alone; but which must be created now, in our time, to be ready when we require it, because the Ice Age does not wait. Nor will the role of the nation diminish on this wide scene of global development. It will become redefined by the value of its contribution for the success of the whole. 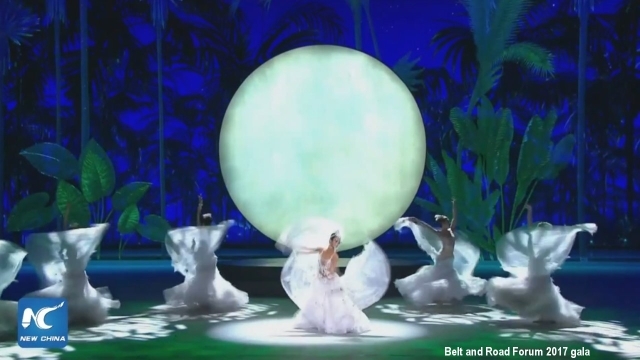 The stage for this new world is already developing under China's pioneering Belt and Road initiative. On this unfolding platform the nations have already begun to work with each other in multiple bonds of cooperative endeavors for building each other up. What we see here comes to light as a natural step towards building the kind of world together that the Ice Age cannot touch. Mastering the Ice Age Challenge is the biggest issue in today's world, by far. That's what lays before us whether we care to acknowledge this or not. No other issue is greater in potentials and consequences. All other issues are little issues in comparison, and will dry up on the beach together with the systems of empire. The Ice Age Challenge is the foremost issue. But we are not at this winning stage yet. In many respects we haven't even begun to awake. To awake from a long sleep is an unfolding process. 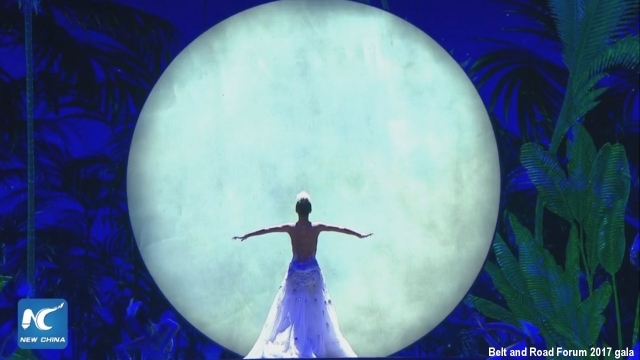 The allegory of Jonah deals with the process of humanity awaking. 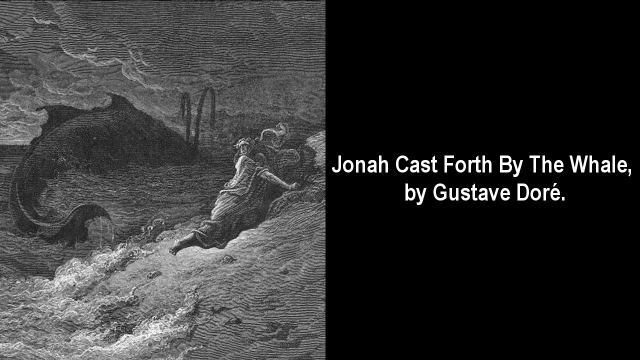 The allegory of Jonah is actually more fitting for our time. The story doesn't match actual history of the time it refers to. 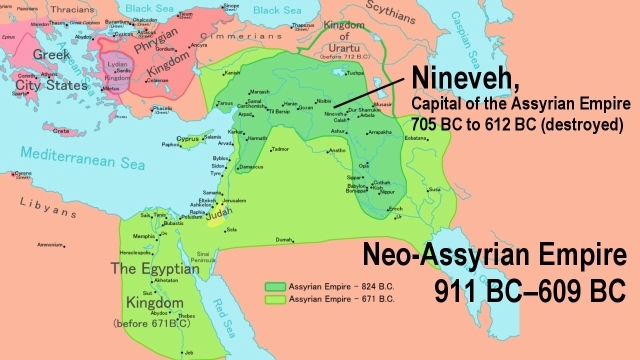 In actual historic time Nineveh was not saved. It was utterly destroyed in 612 BC. Its population was massacred. The destruction was so devastating that the place was not repopulated. The once great Pearl of Antiquity had simply ceased to exist. The hope of God in the allegory of Jonah, to save the city of Nineveh and its inhabitants, evidently was not realized. The Jonah, who according to the story would have spoken to the rulers of the Assyrian Empire, requesting them to repent and disband the entire system of empire on which their 'glory' rested, most likely never existed as a real person. Had he existed and had he succeeded in getting the Empire to disband itself, the city would have remained intact and the people would have remained alive. As it was, an alliance of the vassals of the empire was formed, for them gaining their freedom from it. The allied forces attacked the empire and destroyed its capital city, and massacred its people. This fate by principle was built into the system of empire itself. Every empire defeats itself on its founding platform. But should the fate of Nineveh be our fate in our time? Should the fate of its people be the fate of humanity? In historic time, three years after the eradication of Nineveh, the Assyrian Empire ceased to exist. The former vassals recovered and lived again. 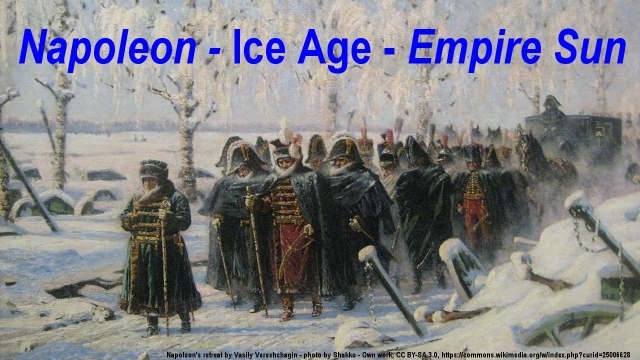 The building of today's Ice Age infrastructures cannot possibly be achieved under the currently operating systems of empire. 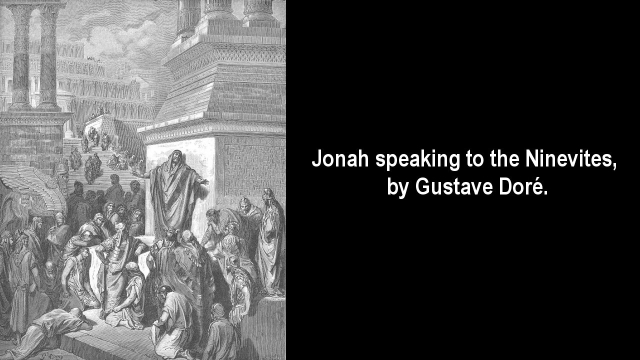 What had not been achieved in the Jonah story must be achieved in our time for the original reason, and for one additional reason that has become extremely critical. In historic time the masters of empire had ruled only the lands and the people living in their domain. In modern time, the masters of empire also rule the sciences and the thinking of the people, which prevents the Ice Age Challenge from being recognized. 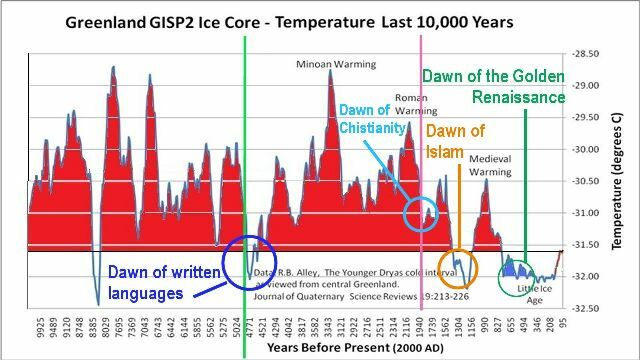 The scientific papers that successfully pass the chain-link fence of the politically correct censorship process, termed 'peer review,' won't contain anything truthful, much less anything related to the greatest scientific challenge in the history of civilization, which is the Ice Age challenge. Nowhere in the top-down controlled world, from the system's newspapers, to its magazines, and its television, is a single word ever being published that an Ice Age is near with consequences that render our world uninhabitable. 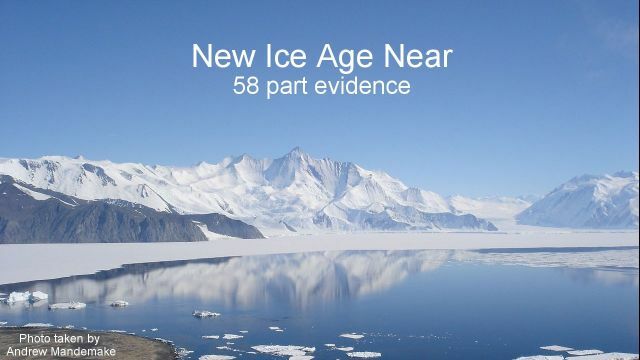 Much less do any of the media note that the first phase of the transition towards the next Ice Age is already half complete and is progressing. Nowhere is it even hinted at in modern, empire owned publications, including scientific publications that the Ice Age Challenge exists and can be met with the building of vast technological infrastructures, and that a vast new renaissance will be inevitable when the building begins. This potential for such a great renaissance remains hidden, because if it became known, then the entire pyramid of systems of empire would loose its foundation to exist. 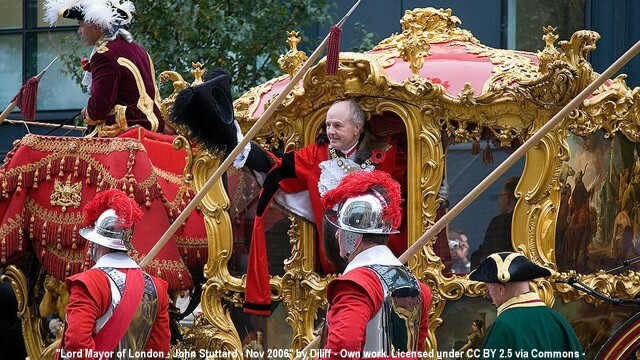 For this reason the renaissance potential remains deeply hidden for the protection of empire. By the very principle of its existence, empire exists as a looting machine, looting humanity, rather than aiding humanity to build itself a new and brighter world. This building won't happen for as long as the golden coach still inspires fascination rather than the recognition that it is but a pumpkin. It would have been a miracle if Jonah would have actually succeeded in getting empire to forsake its tradition by which it exists, and disband itself, The principle of empire is fascism and terror, by which it maintains its illegitimate existence. It always has been that. Jonah would have stood against that tradition. Would a Jonah have dissuaded Napoleon? The French Empire under Napoleon that had been self-defeated in Russia, was ultimately defeated in the same manner that Nineveh was defeated by society waking up, reaching for freedom; for a chance to live again. Humanity is never defeated by a force outside the Earth. 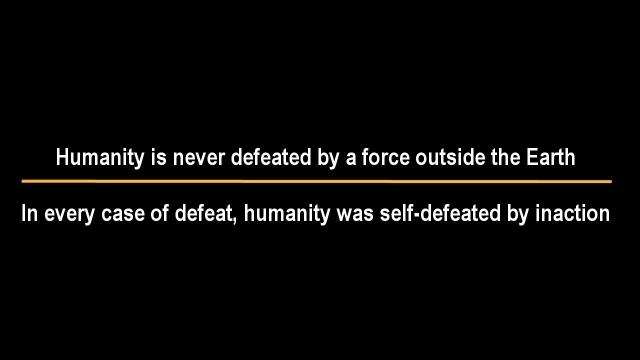 In every case of defeat, humanity was self-defeated by inaction. Jonah would have read about the conquests of the Assyrian Empire written on large stone tablets set up in Nineveh, as bold testaments of the crimes of its empire, with scenes of many battles, scenes of impalings of people, and scenes showing men parading the spoils of war before their king. The inscriptions boasted of his conquests. The king wrote about Babylon: "Its inhabitants, young and old, I did not spare, and with their corpses I filled the streets of the city." Upon reading such boastings Jonah would have had to say to the rulers of the empire: this is why your empire will fail, one way or another. You are self-defeated by your deeds. You live on borrowed time. Repent! Disband the empire and live. If Jonah had said this, he would have been cast out for speaking treason. The same applies to the modern systems of empire. The very existence of humanity is an affront to its masters of empire that society hails, which opens the gate to massacres. 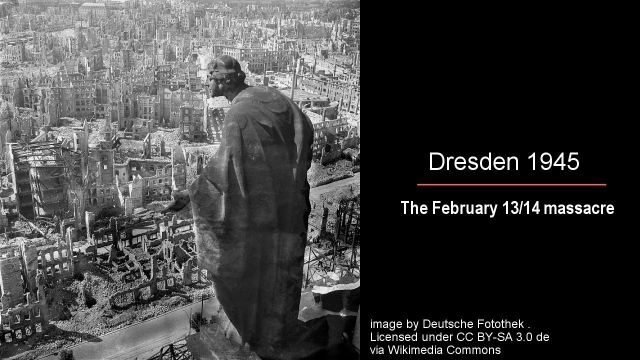 By the achievement in Dresden, World War II was lost the second time. 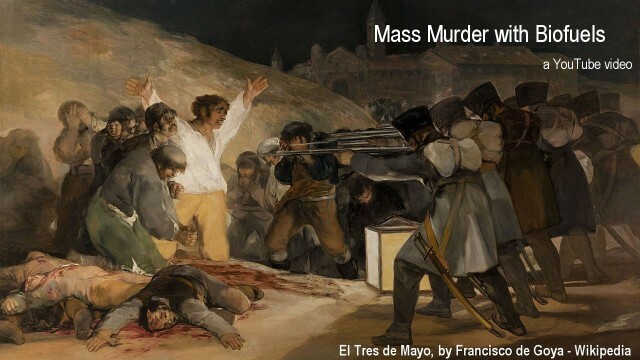 The massacre of up to half a million people in this city, which had no military significance, was not an act of war, but a demonstration of the postwar New World Order. And this defeat was just the beginning. What took in the case of Dresden, more than thousand heavy bombers to accomplish in the space of 14 hours of endless seeming unimaginable barbarism was a short time later accomplished repeatedly with only a single devise, and for the same purpose. 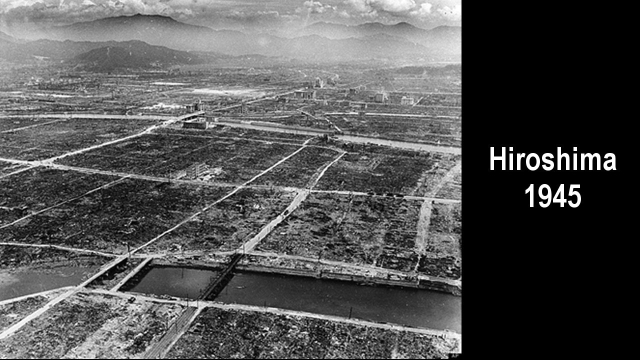 In Hiroshima, humanity lost World War II for the third time around. It became a defeated society. Humanity became so deeply self-defeated that it now faces a worldwide nuclear arsenal with the destructive power of 500,000 Hiroshima bombs deployed against it, in the war of empire against humanity. The value of the human being has been so deeply discounted below zero that the empire-mandated biofuels production now consumes agricultural resources at a volume that would normally nourish 400 million people. In a world that has a billion people living in chronic starvation, the crime of the mass-burning of food on such a vast scale as we now have it, adds up to an ongoing massacre of 100 million people by intention, by policy, silently, year after year. And what is worse, vast segments of humanity are actively engaged in committing this massacre by its participation at the gas pump, This is done willingly, without as much as raising an eyebrow. Where are the Jonahs standing in the hustings in our time, speaking for sanity? Here lies the greatest challenge, the challenge to break the barriers that prevent us from meeting the Ice Age Challenge. The infrastructures for securing the future existence of humanity past the Ice Age phase shift can be easily built. The materials, technologies, and energy resources all exist. But the object for whom the infrastructures would be built, has been devalued to far below zero in the eyes of humanity itself, in the modern age, the age of empire that has not yet ended. Humanity is still laying itself down to die, even while it would live. This is where the barrier lies against humanity giving itself a future. 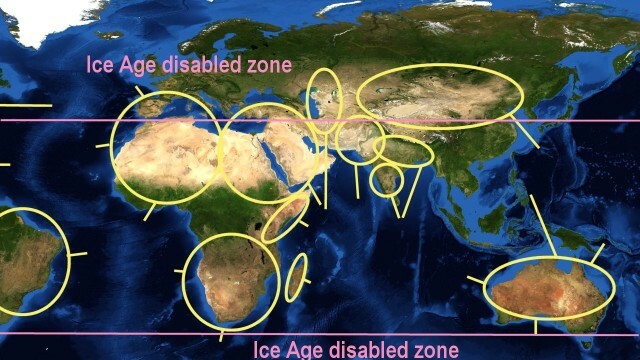 This is why the Ice Age remains a hidden issue. This is why it is rendered a non-issue. If humanity succeeds in raising itself up out of the sewer of its gross self-devaluation, to seeing itself as the greatest asset in the world, second to none, and sees itself with love, universally for what it is, then we have a chance to come out of the Ice Age crisis - a crisis that presently almost no one recognizes to even exist - and come out of it with a renaissance that becomes the brightest renaissance of all time - a renaissance without empire, without war, terror, looting, and destruction, and with an endless future for all humanity. 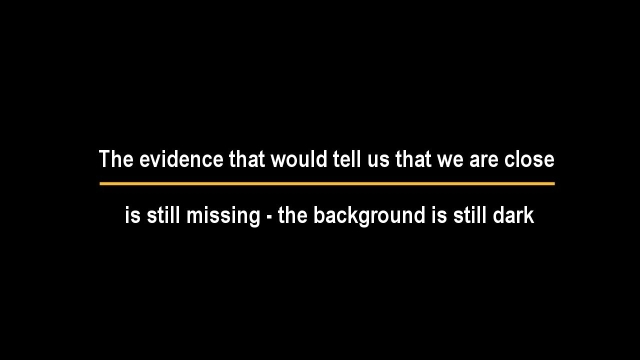 The evidence that would tell us that we are close is still missing - the background is still dark. We will know that the time has come to roll the drums and to pull the cork off the Champaign, when we will see modern Jonahs standing in the hustings in great masses worldwide, speaking in great choruses, excitedly, about building a new world, about building thousands of new cities afloat on the seas, rent-free; and hear talks about free universal education, transportation, healthcare, food, and the freedom to develop. Then it appears the gate is open to celebration, because by these commitments the future is golden.